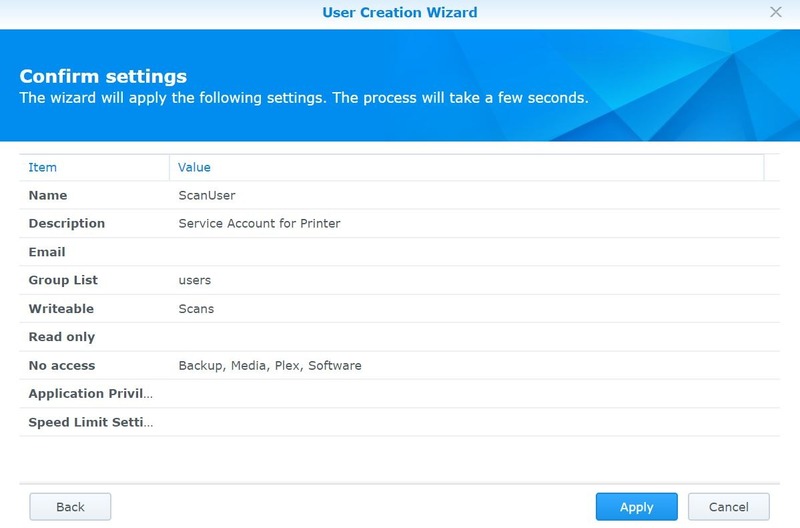 In Part 5 we created a “Scans” share for our Multi-function Printer to scan documents to. 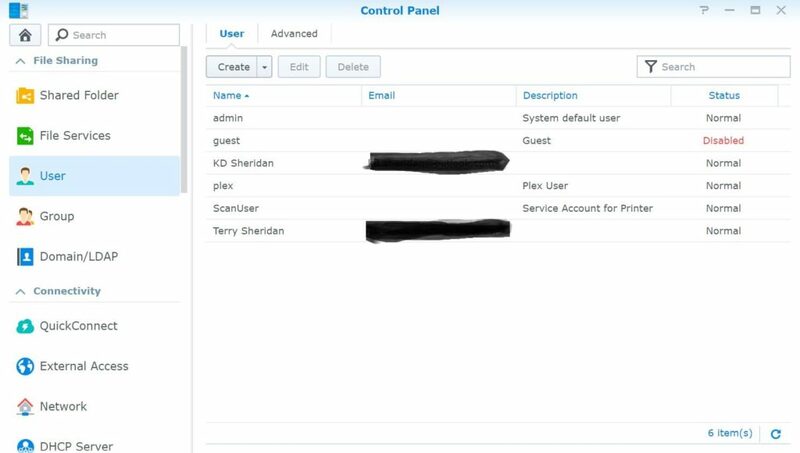 Now I could take the lazy route and just run everything under the admin account. That would be simpler but less secure. In this case if someone were to hack into our printer, then they could access everything on the NAS. This is why we’re going to create a service account just for the printer. So if the printer gets compromised then all then they’ll get is access to an empty file share. 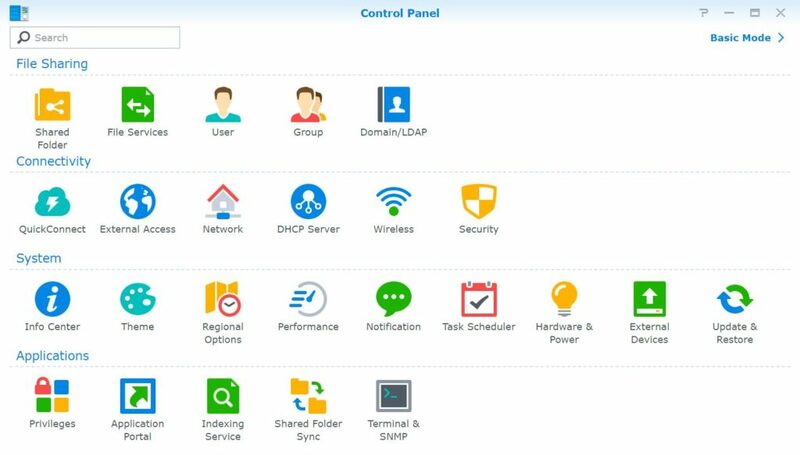 Log into the NAS and go to the Control Panel. Click User and to open the User Menu. In the User section you’ll see the list of already configured user accounts. To create a new one click Create. 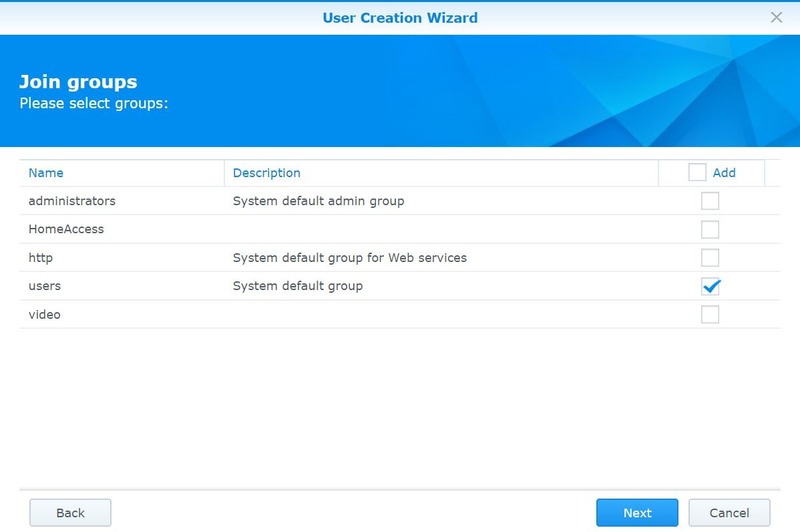 On the first page of the wizard, the process starts with the standard user creation screen. Since this is going to a service account, I don’t need to email the credentials to the account. Choose the options that suits your environment and click Next to continue. By Default a new user is placed in the “users” group. It’s similar to Domain Users in an Active Directory environment. If your user needs to be in additional groups you can check the boxes for those groups. 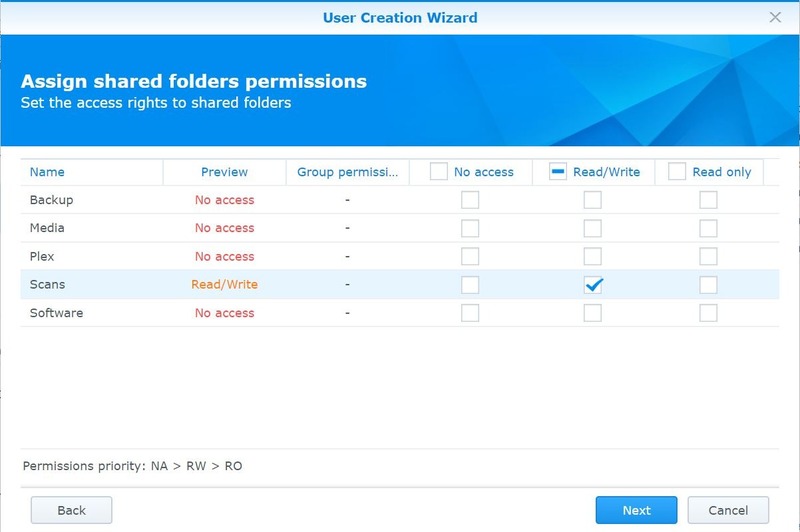 On this page you can select the permissions on the shared folders for the new user. In this case the scan user only needs to write to the scans folder so I only checked that box. 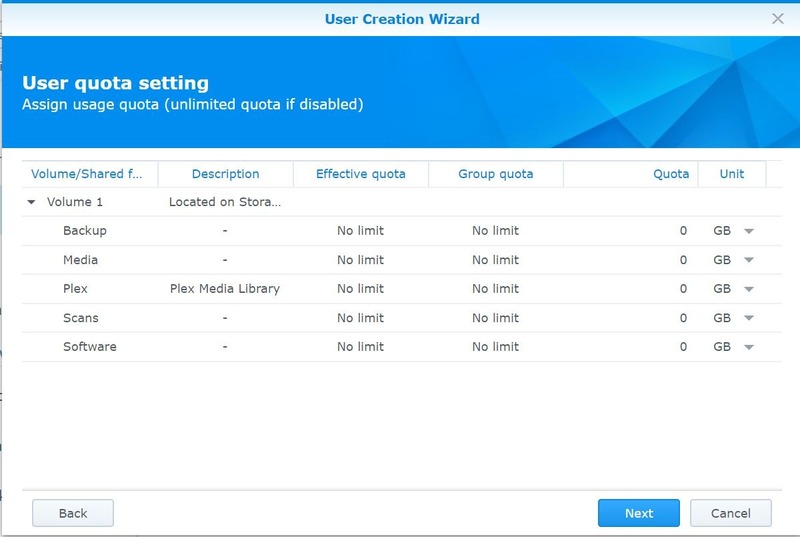 If you want to set disk spaces quotas to limit how much storage a user can use and where, you can configure those options here. 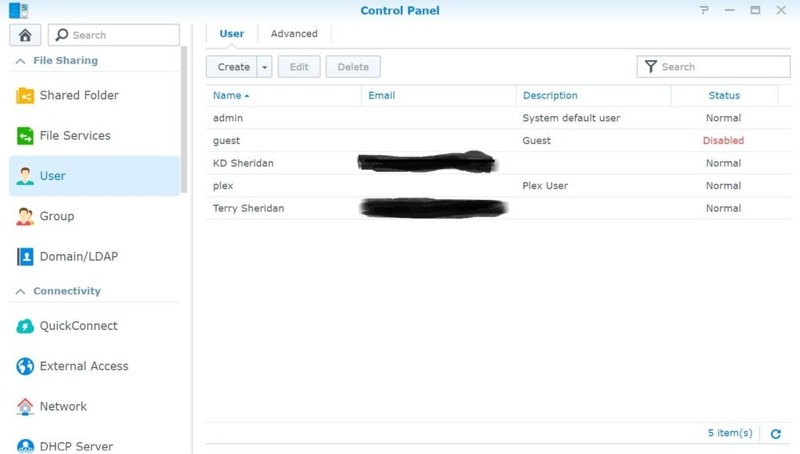 Configure your quotas and click Next to continue. 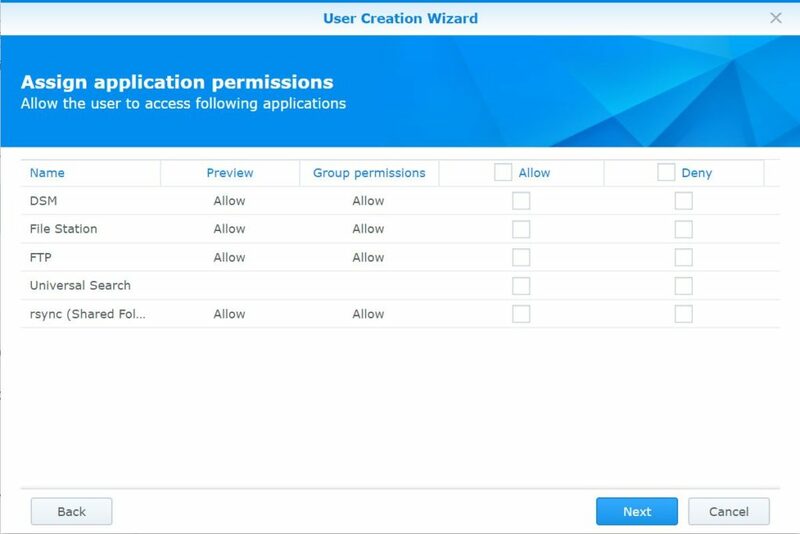 On the this page you can grant permissions to the user for applications installed on the NAS. In our case the ScanUser only needs to write to a share so they do not any of these so I’m not going to grant any of them to the user. 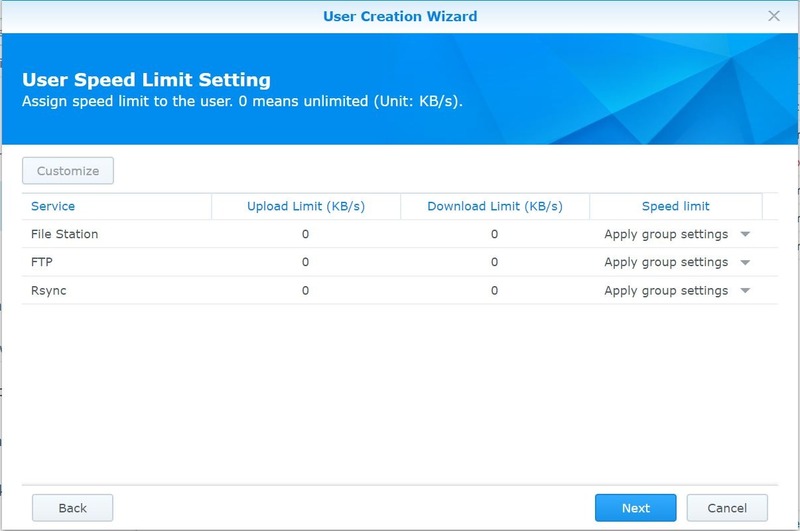 Next you can set bandwidth limits for certain applications and protocols. These do not apply to my case, but could be useful if you’re using the NAS as a public facing FTP Server. On the last page you can verify all the options you selected on the previous pages. If everything looks good click Apply to continue if there is anything that needs to change click Back. 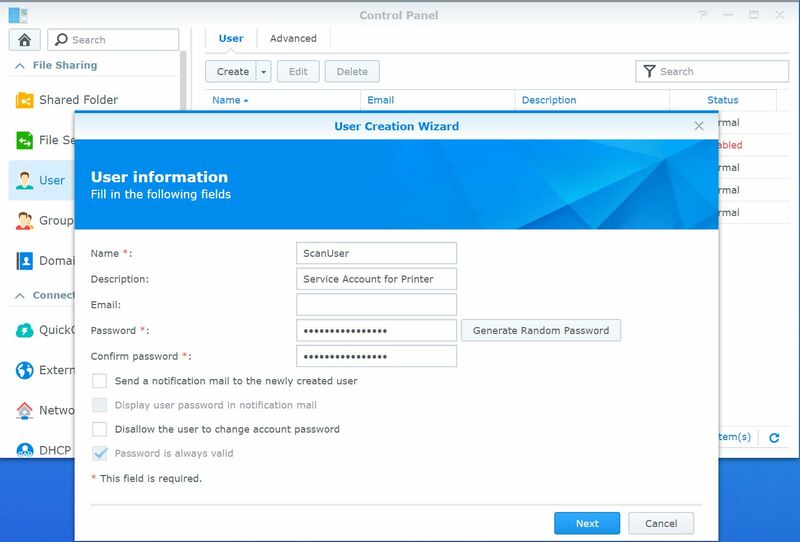 After you clicked Apply you are brought back to the Users menu in the Control Panel where you can see the new user has been created successfully. So that will about do it. Now we can create shares and user accounts. 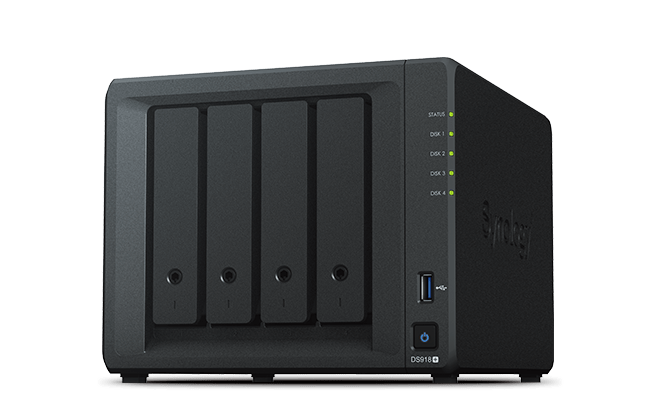 which enables most of the functionality of any NAS. As I mentioned earlier you can do Part 5 and 6 in any order. Part 10: Veeam Agent for Windows to NAS. Part 11: Configuring BackBlaze for Cloud Backups.